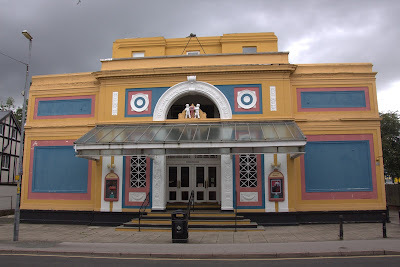 DAN and the VAC Gallery will again be opening up the Plaza Cinema in Witton Street for Heritage Open Weekend. The Plaza will be open on Saturday 10th and Sunday 11th September from 11am - 4pm. There will be a small heritage exhibition, and a chance to peek inside this iconic Grade II Listed Building. There will also be a small selection of old photographs of Northwich from the collection of Nick Colley, who runs a very popular local history facebook group. You can hear Nick talking on the History of Northwich on Monday 12 September at Winnington Rec for Northwich Rotary Club. Full details of all buildings open across Cheshire West and Chester can be found in the Heritage Open Days Brochure, downloadable here.